Horse Riding in the heart of the Perth Hills. Zia Park Equestrian Centre is a long established Horse Riding School offering a range of equestrian services, including Horse Riding Lessons, Horse Trail Riding, Horse Agistment and Horse Leasing. We are situated on a 140 acre complex which includes dressage and showjumping arenas, a cross country training course, an 800 meter training track, private riding trails, 28 private yards and several large paddocks with shade trees. We are within easy driving distance from Midland, only 20 minutes from the State Equestrian Centre and close to several adult riding clubs and pony clubs. Zia Park Equestrian Centre operates a Horse Riding School with many school horses and ponies available to clients of all ages. We pride ourselves on offering a safe and secure horse riding school environment where aspiring students learn to horse ride with confidence while gaining all the skills to progress to more advanced levels. 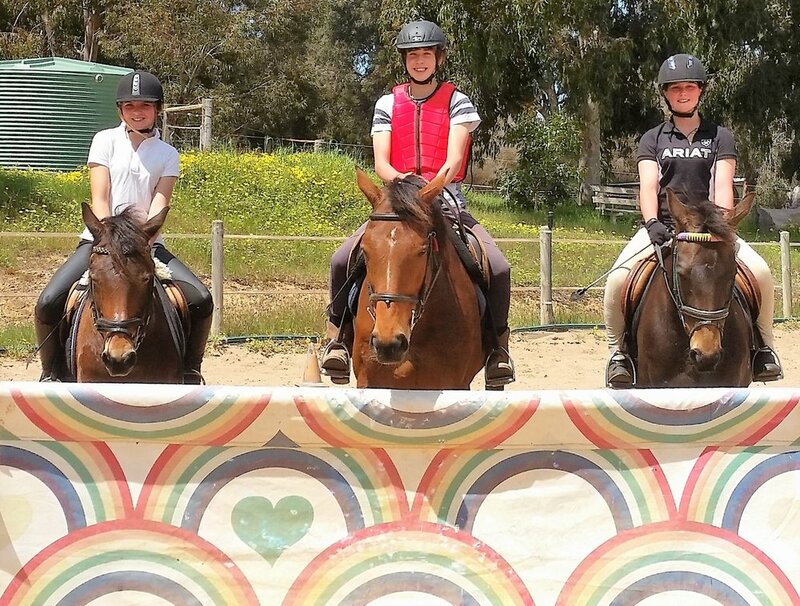 Zia Park Equestrian Centre offers a variety of horse Agistment options to horse owners wishing to agist their horses in the Perth Hills. Horse Agistment options include paddock Agistment, yard Agistment and horse spelling. Click on the following button to find out more about our Horse Agistment options. Zia Park Equestrian Centre proprietor, Gail Simms, is a very experienced horsewoman and accomplished trainer who resides on the property. Gail has represented WA in Eventing and Dressage at national level, is a NCAS Level 2 coach and coach educator and judges dressage at Advanced Level.